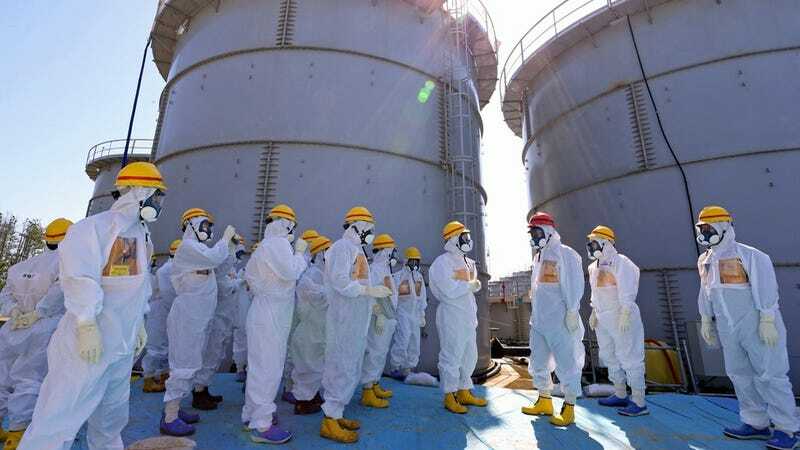 The newest update in the highly disconcerting series of devastating failures that is the Fukushima cleanup effort is troubling to say the least. Tepco has confirmed that (unexplained) plumes of steam have been rising from the mangled remains of Reactor Building 3. In other words, there's a chance Fukushima could be in the middle of another meltdown. The thing is, no one has been able to find out the exact cause of the rising, mysterious radioactive steam because the combination of physical damage and, more importantly, lethal radiation levels have made investigating the reactor impossible. Tepco has known that a followup meltdown was a severe possibility, though. The Reactor 3 fuel storage pond is still home to about 89 tons of plutonium-based mixed-oxide fuel according to the The Ecologist, and should that fuel storage pond dry out, the highly radioactive rods will melt down with devastating results. Still, there are two other slightly less severe possibilities outlined by The Ecologist. First, the molten fuel could have burnt its way through the base and into the soil below, producing steam as it comes into contact with groundwater (while simultaneously releasing radioactive contaminants into the ocean). Second, reactor rod fragments could have come into contact with rainwater, producing extreme amounts of heat and, consequently, steam. As The Ecologist notes, "Of the three choices this is probably the least serious."